Apr. 11 (NBD) -- A pension is a security blanket for retirees. China's post-80s are now getting panicked as a new report claimed the country would have no pension money to cover their retirement life. According to the China Pension Actuarial Report 2019-2050 ("Report"), published Wednesday by the Centre for International Social Security Studies at Chinese Academy of Social Sciences, China's current-period pension balance is predicted to stand at 106.29 billion yuan (15.8 billion U.S. dollars) in 2019. It is estimated to dip into red for the first time ever in 2028 at -118.13 billion (-17.6 billion U.S. dollars), with the figure to hit -11.28 trillion yuan (-1.7 trillion U.S. dollars) in 2050. The Report also pointed out after hitting a peak level of 6.99 trillion yuan (1.0 trillion U.S. dollars) in 2027, the combined balance of the basic pension insurance funds for urban employees will start to descend with a possibility of being exhausted around 2035, when even the oldest post-80s haven't reached the retirement age. The pension gap is partly because of the growing ageing population, industry experts explained to NBD. The number of Chinese aged over 60 years has reached 249 million, showed data released by the State Statistics Bureau last year, accounting for 17.9 percent of the country's total. Of that, the number of those over the age of 65 was logged at 167 million, constituting 11.9 percent of the total. There are also historical reasons, experts added. Wang Wenling, deputy director of the National Council for Social Security Fund, told NBD before 1997, enterprise workers had not been required to pay for endowment insurance but now they are enjoying the pension coverage. 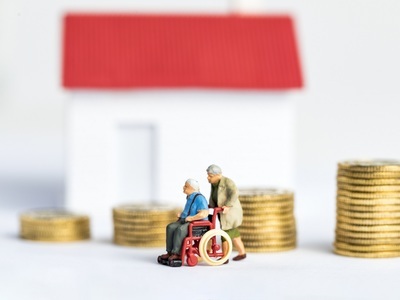 To cope with the potential pension shortfall, the Report advised that a scheme concerning raising the retirement age should be introduced as soon as possible. Meanwhile, efforts should be made to build a foreign reserve-based sovereign pension fund, perfect the actuarial system, and introduce a dynamic adjustment mechanism.